Some children have to pay $1/minute to talk to an incarcerated parent. Why? Because prisons and jails profit by granting monopoly telephone contracts to the company that will charge families the most. For almost twenty years, families had been calling on the Federal Communications Commission (FCC) to provide relief from the exorbitant bills that the prison phone companies charge just to stay in touch. 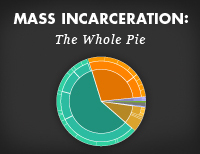 Recognizing yet another way that mass incarceration punishes entire communities, the Prison Policy Initiative joined with partners across the country to help generate the research and advocacy that was necessary for change. We’ve won some real victories at the FCC and halting industry consolidation, we’re pushing for states to take action, and we’re keeping this industry and the perverse incentives it offers the sheriffs in the news. As of November 2018, in more than half of states, the highest in-state 15 minute call costs more than $10, and in 15 states it costs over $15. 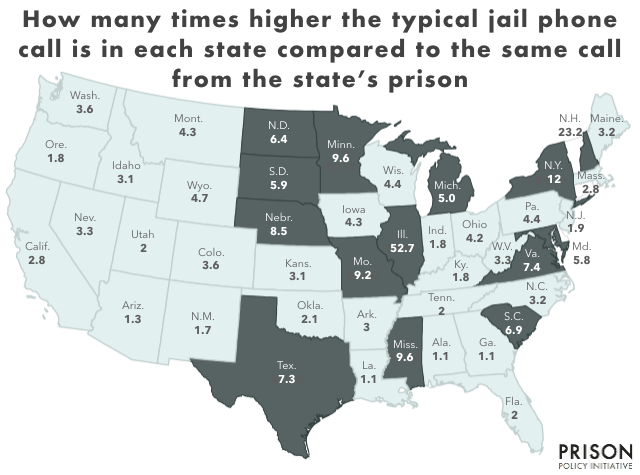 (Alaska, Connecticut, Delaware, Hawaii, Rhode Island, and Vermont do not have jails and are therefore not displayed). In our rebuttal to Securus, we disprove the company's claims of healthy competition in the prison phone market. For nearly a year, the FCC knew about Securus's cellphone tracking and turned a blind eye. New policy changes and legislative efforts designed to address correctional visitation policies are helping to chip away at the inhuman treatment of incarcerated people across the United States. New research shows jail phone companies contributing significant sums to Sheriff's campaigns, in one case funding a quarter of Sheriff's campaign spending. In our letter to the Florida Department of Corrections, we explain why cutting visiting hours is bad policy and an inhumane practice. For nearly a year, the FCC knew about Securus’s cellphone tracking and turned a blind eye. Senators introduced S 2520 in bipartisan effort to put FCC back on track in regulating the cost of calling home from prison or jail. Virtual jail "visits" are quietly sweeping the country. Fortunately, a surge of hard-hitting journalism is pushing back, illuminating the exploitative practice of eliminating family visits in favor of video calls. We've had to make tough compromises in our work to protect in-person jail visits. We share some of the considerations we confronted in the hopes of supporting other advocates. Comment letter: Maine’s Department of Corrections should not allow correctional facilities to eliminate in-person visitation. After the Maine DOC solicited comments on the proposed changes to its visitation policies, we submitted a letter detailing why the elimination of in-person visits would hurt families. If policymakers are legitimately concerned about making the transition out of correctional facilities as smooth as possible, they must incorporate the visitation-related concerns of incarcerated people. This post examines a few of those important concerns. Securus claims average rates of under 20 cents a minute, Wright Petitioners find no rates under 50 cents in all of Michigan. Senator Tammy Duckworth recently introduced the Video Visitation and Inmate Calling in Prisons Act of 2017. This piece of legislation is an important step in the fight against exploitation in prisons and jails, and we encourage lawmakers, criminal justice professionals, and the general public to support its passing. Vice News Tonight examines the growth of the exploitive video visitation industry; highlighting the human toll of switching from the real thing to an artificial – and costly – substitute. Securus fights against regulations and then flouts the ones that survive. FCC should investigate, not approve sale. Over 1.5 million children have a father incarcerated in prison today. As Father's day approaches, millions of children will be without their fathers, and without the ability to pay the outrageous fees associated with speaking to them. State lawmakers should take the initiative to better regulate prison telecom companies, and most importantly, reduce the number of incarcerated people. We are thrilled to see the ACA support the common sense idea that emerging technologies should supplement, not replace, in person visits. Are providers of prison communication services allowing unrestricted access to the personal computers and conversations of incarcerated people and their loved ones? Some legislators are beginning to take notice of the abusive video visitation industry. Policymakers across the country should consider adopting legislation so that incarcerated people and their families are not prevented from face-to-face contact during difficult times. 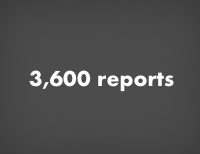 From state and federal legislation to the press, support for in-person visits continues to grow. 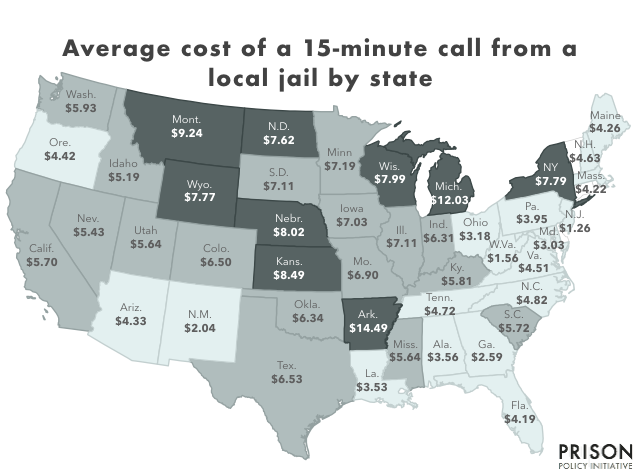 The first ever national survey of in-state jail phone rates finds some jails charge more than $1.50 a minute. NPR covers video visitation, and reform legislation is introduced in Congress. For the first time since 2013, in-person visits will be allowed at Travis County jails. The federal courts have issued a second stay of the FCC's October 2015 order. Families should expect caps and bans on ancillary fees. Mississippi just slashed its phone rates beyond what was required. What does that say to the states challenging the FCC's original order? We explain what rates and fees to expect thanks to the FCC's October 2015 order and when for prisons and jails. Just what are governors who talk about the need for prison reform doing trying to stop the FCC's historic effort to protect the families of incarcerated people from exploitative prison phone companies? FCC, your work isn’t over. Protect families from advanced communication services. Our latest comments urging the FCC to regulate advanced communication services in correctional facilities. The Iowa Governor's Working Group On Justice Policy takes up our recommendations on phone justice. On Friday, the FCC's latest order was published in the Federal Register. What can states do after the FCC has ruled? We have two ideas for state legislative strategies to further reduce the cost of calling home from prisons and jails. Are you are a writer, actor or video person who cares about justice? We need to talk. Their proposal would give families the telephone justice they have been asking for. What would prison telephone justice look like? What would effective state executive or legislative action for prison and jail telephone justice look like? Prison phone companies are sneaky but we've learned how to uncover their tricks. Will you help us stay one step ahead? Why is Securus one of the largest campaign contributors to the Sacramento County Sheriff? Securus exemplifies the industry's obscene penchant for squeezing profits by fleecing their customers and shorting their business partners. Some of these companies call themselves phone companies, but the phone service is little more than a gimmick to charge expensive fees. The poor, the elderly, and African-Americans and Latinos are less likely to have computers or high-speed internet at home. Replacing regular jail visits with computer video chats is a bad idea. I waste 25 minutes for a visit that never happens, and Securus gets to keep my money anyway. On Monday evening, we submitted 6 major briefings on the need to regulate the prison and jail telephone industry to the Federal Communications Commission. Support prison phone justice on this Giving Tuesday! Generous friends have agreed to match any donations to PPI through 2014, making your gift go twice as far. One company produces a video explaining to Sheriffs how the status quo is bad for them. Today, in a partial reversal, the Dallas County Commissioners Court approved a new contract with jail telephone giant Securus. Will the FCC ban commissions, cap all calling rates, and eliminate fees? We need your help now to counter the powerful prison phone lobby. Center for Public Integrity releases first part of a series on web of prison bankers, private vendors, and corrections agencies profiting off families of the incarcerated. 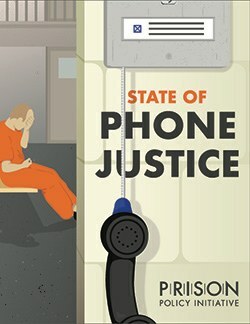 "The wheels of justice turn slowly, but today we prepare to take the next critical step toward reducing the high price paid by inmates and their families to communicate"
Two commissioners circulate a proposal that would extend last year's historic ruling protecting some families from the predatory prison and jail telephone industry. Martha Wright and her fellow petitioners mine prison phone companies' state-mandated disclosures to submit rate data to the FCC when the companies refuse answer the basic questions themselves. Where 96% isn't 96% and clients aren't clients. Aleks Kajstura gave an invited presentation of our research on two different workshop panels, highlighting the importance of fees and comprehensive reform. 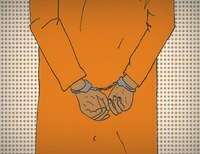 Awesome piece with one small mistake on the difference between prisons and jails. David Carliner Award Finalist Barbara Graves-Poller tells the FCC that New York prison phonecall price gouging routinely causes people to lose their parental rights. Alabama’s new rules will force prison phone industry to end kickbacks from Western Union/MoneyGram. This Mother's day, hundreds of thousands of kids won't be able to call their mothers, and if Mom calls them, those kids are going to have a hard time paying for the call if she calls them. "[I]f left unregulated, the video communication market could follow the trajectory of the infamously broken prison telephone industry." Peter and Leah wrote a new Huffington Post piece about the start of the FCC's inter-state prison phone rate regulation on Tuesday. The two largest prison phone companies, mislead correctional facilities and federal regulators by acting like communications technology is stuck in the 1950s. We asked The New York Times consumer protection columnist the Haggler to investigate the broken prison phone industry. He did! We submitted additional comments to the FCC confirming more kickbacks, and urging the FCC to keep protections in place for people in jail. Court orders stay on some of the FCC's new prison phone regulations, but caps on call rates still go into effect on February 11th. "…the Prison Policy Initiative, a Massachusetts research group, urged similar rules for video visitation, email, voice mail and other systems." Increasing the number of ways that families can stay in touch is a good thing. But allowing companies to exploit families and undercut the FCC's efforts to bring fairness to this industry is not. We're partnering with SumOfUs to collect petitions supporting the FCC's next steps in regulating the prison phone industry. The FCC denies prison phone companies’ petitions to delay implementing fair rates, reiterating the need for regulation. PPI submits letter to Alabama Public Service Commission supporting proposed regulations to reign in exorbitant costs jails and prison phone calls. FCC prison phone regulation ruling published in Federal Register, to take effect Feb 11. Companies and correctional facilities can no longer collude to profit off of keeping families apart. Prison phone company to expand most costly service? Prison phone company that recently raised their exorbitant fees even higher, recently took steps to bolster their still unregulated single call program. Alabama Public Service Commission caps phone rates and limits fees charged for phone calls from correctional facilities. The Huffington Post just published the first article we’ve seen on the prison phone regulation that includes a public interview with the CEO of Securus. The article includes a nice summary of Peter's invited presentation on a panel about the true costs of providing prison phone service. A New York Times Magazine article exposes how the broken prison commissary industry leaves the people footing the bill out of the equation. the FCC is finally stepping up to the plate to protect families from having to choose between staying in touch and paying the bills. The good old days of the exploitative prison phone industry? 2002 footage shows how much the industry has changed in 10 years. Letter to FCC: crafting effective regulation for prison phone market requires taking a comprehensive view of the commission system, ending high rates. New York has found that "there are significant benefits that can be attributed to lower calling rates." The workshop is from 9am-5pm EST Wednesday July 10th, and the FCC needs to hear from you. Find out how to participate. Our new video shines some light on the dark underbelly of the telecommunications industry. The FCC wants to know about the many fees prison phone companies charge. While the companies aren't talking, we've got answers. Peter Wagner and Jake Mitchell talk about their software to make prison phone justice documents on the FCC website accessible to the larger movement. On Sunday, some families had to choose between wishing dad a Happy Father’s Day on the telephone and putting food on the table. But will they take their own advice and stop charging customers to get their own money back? A team of civic-minded hackers in Western Massachusetts have built a tool to make it easier to access documents about the FCC proceeding on regulating the prison telephone industry. Some additional observations about prison phone fees, based on discussions we had with the phone companies after the report’s release. As a result of the report, at least two companies, Turnkey and NCIC, made several clarifications and improvements to their fee policies. The newest Prison Policy Initiative report exposes the prison phone industry's hidden fees, which saddle the families of incarcerated people with staggeringly high phone bills. Peter Wagner talks about the FCC taking action to rein in prison phone rates on RT America, January 4, 2013. On November 20, 2012 Prison Policy Initiative Research Associate Drew Kukorowski appeared on RT News to talk about the outrageous charges of the prison and jail phone industry. At a Nov. 15th phone justice rally in Washington D.C., we, along with our partners at SumOfUs, delivered signatures from 36,690 people across the country calling on the FCC to rein in predatory prison phone rates. And it looks like the FCC will act soon -- Commissioner Mignon Clyburn announced that the FCC Chairman has circulated a prison phone regulatory proposal that the commission will now vote on. The New York Times cited "The Price to Call Home: State-Sanctioned Monopolization in the Prison Phone Industry" in an editorial calling on the Federal Communications Commission to cap prison calling rates. A new Prison Policy Initiative report reveals that the monopolistic prison phone industry’s high calling rates are jeopardizing public safety and taxing poor communities. The report calls on the FCC to set price caps that would allow incarcerated people to increase their chances of success upon release by staying connected to their families.